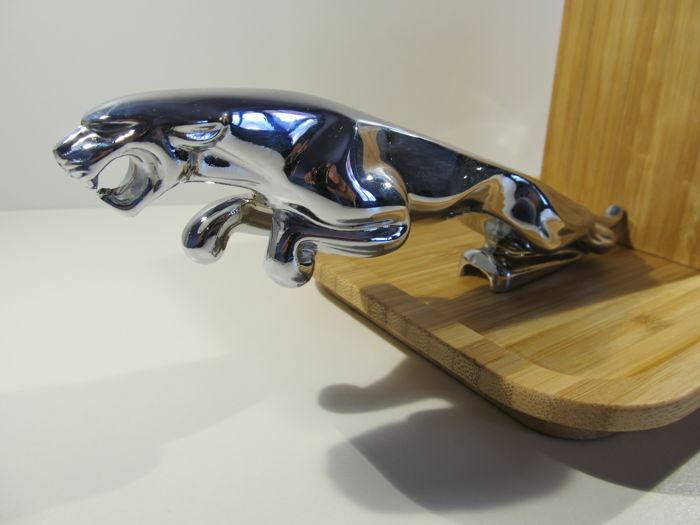 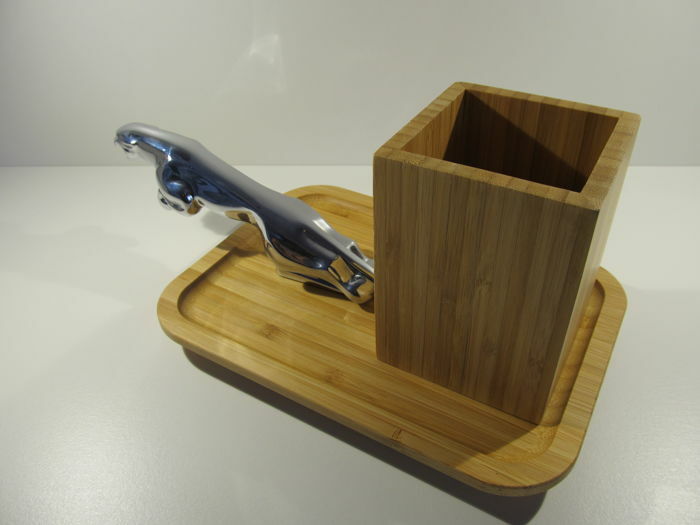 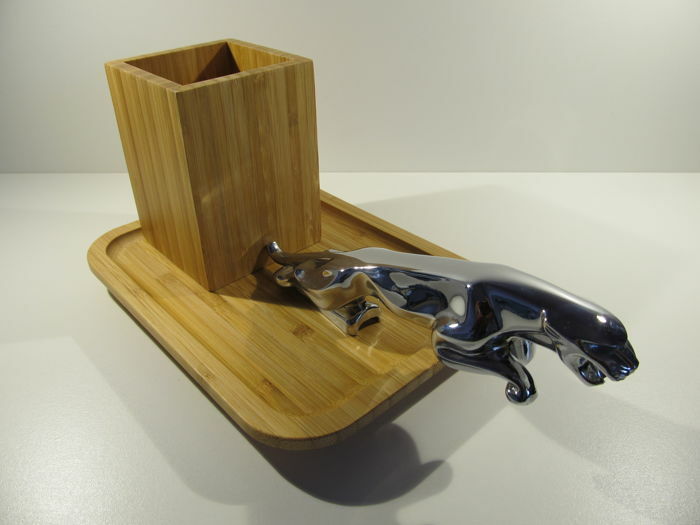 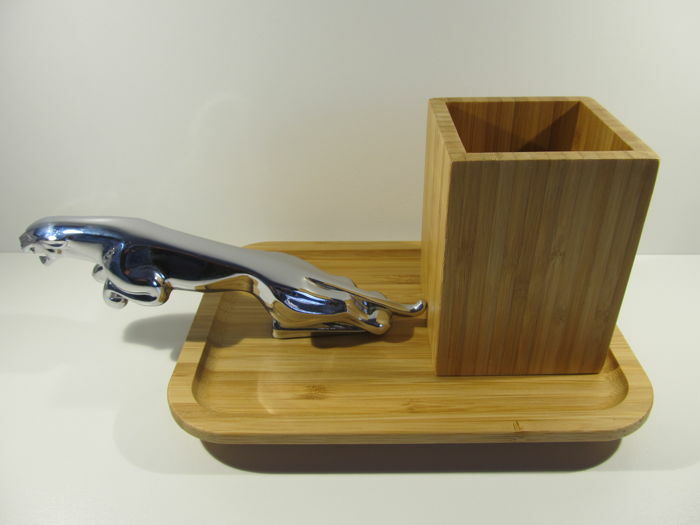 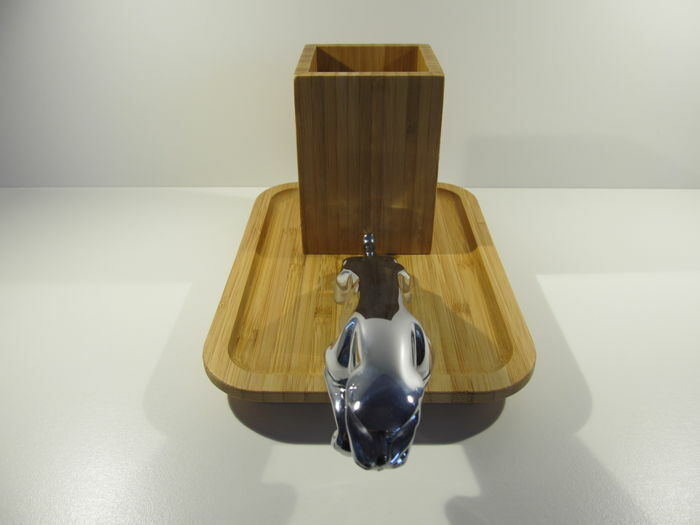 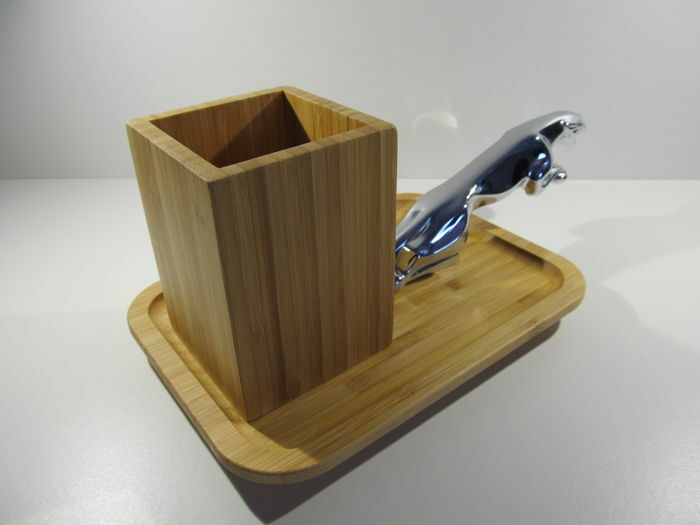 " Leaping Cat, beautiful decoration for the lovers of the Jaguar car brand. 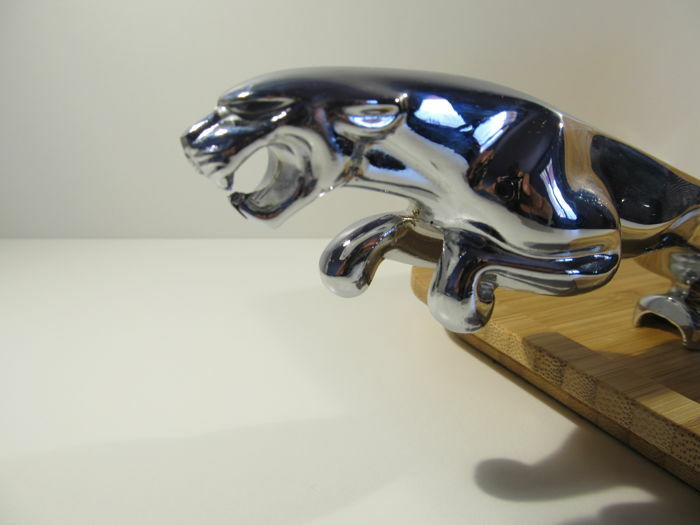 Designation: Jaguar Leaping Cat Chrome Metal Bonnet. 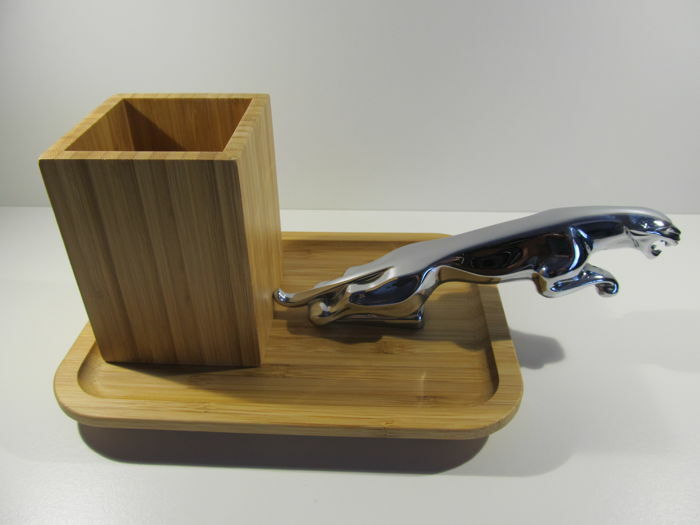 Total dimensions: 28 x 15 cm, height 11.5 cm. 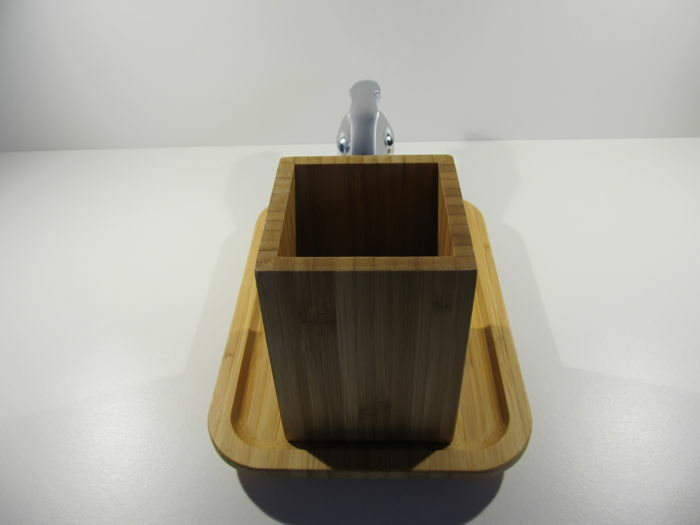 Protective felt layer on the bottom of the base. 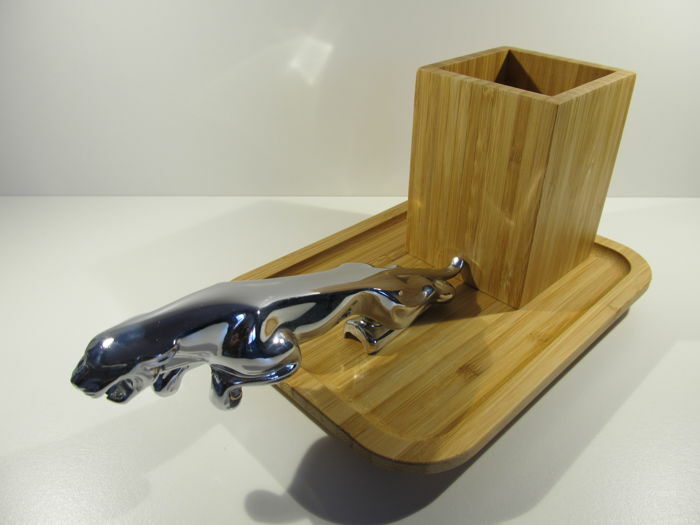 Beautiful decoration and useful with its pen holder and coin tray or other. 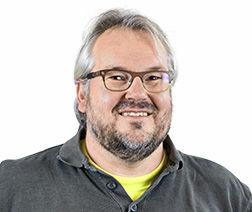 il était prévu que vous contactiez catawiki pour remboursement. 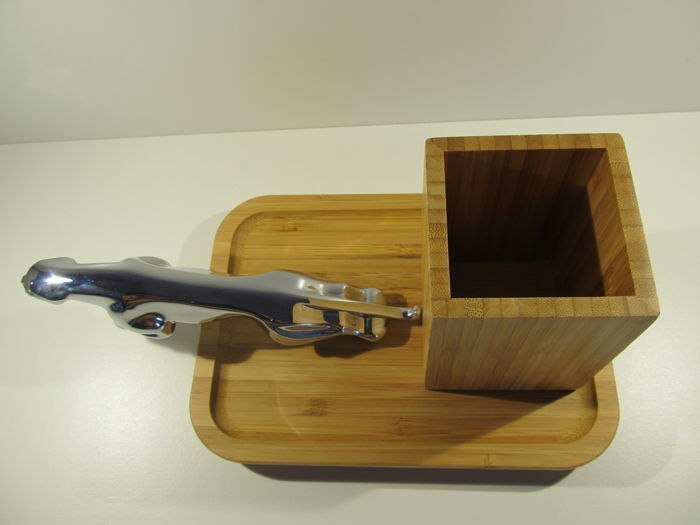 Spedizione molto veloce e ben confezionata.